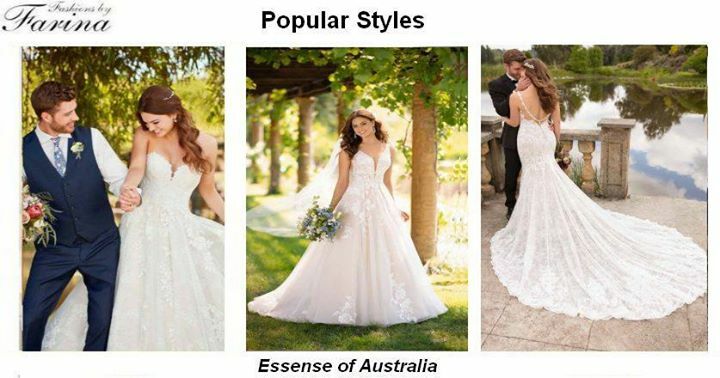 Check out our ‘Essense of Australia’ Page (http://www.fashionsbyfarina.com.au/EssenseofAustralia/) for more gowns by #EssenseofAustralia, #MartinaLIana, and #StellaYork. We would consider it an honour to assist you in finding that perfect gown. To contact us: Send a message by clicking the message button below or email: bridal@fashionsbyfarina.com.au or phone: (02)92222933 or 92222944.